Cyltezo (adalimumab-admb) is a drug from Boehringer Ingelheim Pharmaceuticals for the treatment of chronic inflammatory diseases, including psoriatic arthritis and plaque psoriasis. Cyltezo is a biosimilar to Humira, which has been approved by the U.S. Food and Drug Administration (FDA) since 2002. Biosimilars are biologic medical products that are nearly identical to an original product developed by another company. It has been approved by the FDA but is not yet commercially available. It is a monoclonal antibody that targets tumor necrosis factor alpha (TNF-alpha), a small protein that binds to the TNF receptors to trigger inflammation. When Cyltezo binds to TNF-alpha, it blocks TNF from stimulating the immune system. In patients with psoriatic arthritis, blocking TNF’s effects reduces join inflammation, improving joint function and relieving pain and swelling. In patients with plaque psoriasis, blocking TNF reduces inflammation in the skin to slow skin thickening. 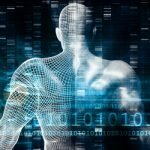 The FDA requires manufacturers to provide evidence of biosimilarity through clinical trials to confirm that they are as safe and effective as the original product. 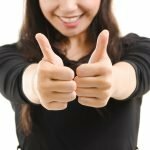 On Aug. 25, 2017, the FDA approved it based on both the long history of safety, efficacy, and tolerability of Humira and on clinical studies of Cyltezo itself as a biosimilar. Two important clinical studies that contributed to its FDA approval as a biosimilar to Humira included a Phase 1 study in healthy men (NCT02045979) called VOLTAIRE PK and a Phase 3 study (NCT02137226) in rheumatoid arthritis patients. Results of the Phase 1 study confirm that Cyltezo was comparable to Humira on all measures of pharmacokinetics, and results of the Phase 3 study confirm that Cyltezo is as safe and effective as Humira. A Phase 3 study (NCT03210259) called VOLTAIRE X is currently underway. 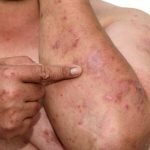 It will compare Cyltezo to Humira in 240 patients with psoriasis, who will receive either Humira continuously or Humira alternating with Cyltezo. The study will evaluate Cyltezo’s pharmacokinetics, safety and effectiveness. Researchers will assess the drug’s safety by tracking adverse effects, and its effectiveness by judging improvements in skin redness and inflammation. 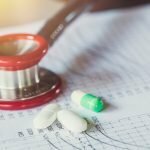 If results show that Cyltezo’s pharmacokinetics, safety and effectiveness are very close to Humira’s, researchers will conclude that the two drugs are interchangeable, and that pharmacists can substitute Cyltezo for Humira without consulting the doctor who wrote the original prescription. VOLTAIRE X began in July 2017 and will likely wrap up by February 2019. The study is still recruiting participants. It is given as an injection under the skin at a dose of 40 mg every other week for psoriatic arthritis. 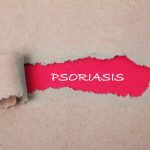 For plaque psoriasis the initial dose is 80 mg, with 40 mg every other week dosing beginning one week after the initial dose. People on Cyltezo risk developing serious infections.